Livelihoods vs. Lions: How can wildlife be made to pay? For impoverished local herders who see only costs and corruption from conservation, breaking the law can seem necessary for survival. A young Maasai herder tending to his cattle. Credit: Andreas Lederer. In early December 2015, it was reported that eight lions from the Marsh Pride in Kenya’s Maasai Mara National Game Reserve had been poisoned by Maasai herders illegally grazing their cattle there. The Mara reserve is a protected area from which herders are banned. The deaths were widely reported by Kenyan and international media. Not only was the poisoning a blow to the country’s already vulnerable lion population, but the lions had appeared on the BBC’s popular Big Cat Diary TV series and in the 1982 book The Marsh Lions: The Story of and African Pride by Brian Jackman and Jonathan Scott. Scott, a leading wildlife artist, writer and photographer, has followed generations of the pride since 1978, and was one of the presenters of Big Cat Diary. The poisonings were a huge blow to the Mara’s lions and were indicative of the huge and unresolved problems of aligning wildlife conservation and habitat protection with rural livelihoods and the urgent need to raise the incomes of communities across lion range states. It is. And it is an issue that affects all communities that live around national parks and game reserves across Africa, the wildlife in and around those protected areas, the conservationists and researchers working to preserve species and habitats, and governments which have to make the decisions that affect the balance between human needs and those of conservation. Too often, it is one or the other, rather than a serious attempt to empower local people, benefit them and so provide real incentives for struggling, impoverished rural communities to see wildlife as a benefit rather than an obstacle. To understand the complexity, one needs to look at the case of the Maasai Mara and the Maasai pastoralists and then broaden the picture out to consider the future of conservation and community development across the continent, where the same problems are often replicated. The Maasai living around the reserve are traditionally cattle herders. Under colonialism and successive governments since independence, they have been moved off land set aside for reserves, which has restricted access to grazing. Changing land ownership and utilisation practices have affected their freedom of movement. Moves by successive governments to establish individual rather than community ownership and to sub-divide land previously owned communally has led to the fencing of rangeland, restriction of cattle and wildlife movement to follow seasonal grazing, increasing conflict between rich and poor, and greater human-wildlife conflict. This process has also involved corruption and land-grabbing by senior politicians and public officials in league with local clients in the Maasai community. Maasai pastoralists, hemmed in by fenced-off land owned or claimed by political grandees and the local recipients of their patronage, have been forced to look for grazing elsewhere. The herders accused of killing the Marsh Pride lions − Simindei Naurori and Kulangash Toposat − have been charged with the poisoning and could be handed life sentences or fined Sh20 million ($200,000) each – a sum the herders would be incapable of raising. If they are found guilty, justice of a sort will have been seen to have been done. But they are victims as much as the lions that died from eating the poisoned remains of the three cows. If the herders poisoned carcasses of cattle killed by lions they will have broken the law, but not to poach for substantial gain but to survive in an increasingly harsh habitat and economic environment in which their options are forever narrowing. Paula Kahumbu, CEO of Kenya’s Wild Direct NGO, is a fervent supporter of wildlife conservation but she sums up the situation well when she says that local communities must be provided with a role and incentive to coexist with wildlife and become part of conservation, but that “Currently there are only costs for living with lions. No rewards”. Indeed, for many, cattle are the only realistic source of income. But sub-division of land, land grabs, and loss of land for building houses and arable farming reduce the opportunities to survive, let alone improve incomes and living standards. In such as situation, local communities will break the law if they feel they have no other option and will break it regularly if they can do so with impunity because of a lack of serious attention to the wider issue by government as well as corruption, mismanagement and under-funding of the Kenya Wildlife Service, which means regulations aren’t enforced. The Mara reserve is not a national park run by central government. It is owned and run by Narok County and its governor and council. Park fees and other earnings from the massive tourist industry are routed through the Narok authorities and very little goes to local people, who bear the burden of living next to a reserve rich in predators and other wildlife that can damage their livelihoods. Of the reserve fees charged to tourists, 55% goes to Narok County Council and 36% to the Mara Conservancy (a private conservation area bordering the reserve). Of the Council’s share, 19% goes to the group ranches bordering the Mara reserve; 9% of earnings go to the KAPS company that administers tourist fees. Little trickles down to rural communities. The situation is made worse by corruption, with repeated accusations by conservationists and communities over the years that Narok Council is illegally taking money from tourist fees and other income. In fact, in January this year, local communities – supported by some local and national politicians – protested that the Narok Governor and Council were misappropriating the reserve income. Thousands of Maasai marched on the governor’s office in Narok to protest and were met with the use of live ammunition and tear gas by the police. One person was killed and several injured when Kenyan police clashed with Maasai protesting against a local governor they accuse of misappropriating tourism funds from the game reserve. Governor Samuel Tunai and his administration were said to be misusing the $80 a day collected from each tourist entering the Mara and income from lodges. A Senator, Stephen ole Ntutu, said Tunai “cannot account for billions of shillings from all financial sources including the Mara. He should be held to account”. The Kenyan Auditor-General and the Anti-Corruption Commission are investigating use of the funds, but no details of their findings have yet been released. What the events show is that local people are angry that they get no benefit and only costs from wildlife conservation and related tourism. They feel they are in a no-win situation and so break the law to the detriment of conservation efforts and income from tourism – and the Mara produces income of around $19m a year. But to them that is a price that must be paid to survive because the distant and egregiously corrupt system of government is neither responsive to their needs nor prepared to look at ways of empowering them. This situation is replicated in many conservation or protected area across East and Southern Africa, where local communities suffer loss of land and depredations of lions, leopards, elephants, buffalo or hippos and have little recourse other than to break the law or turn the resources to their advantage by poaching or helping poaching syndicates. Some, like the Maasai in this case, just kill in order, as they see it, to protect their herds. I witnessed the problem in Botswana in July 2015 around the Chobe National Park. The banning of commercial or subsistence hunting by local people has resulted not in preservation of species but in greater assistance by locals to outside poaching syndicates. A poorly-thought out conservation measure has had the opposite effect to that intended. Kenya must address the real issues of protecting the Mara and its lions and not opt for quick, cosmetic solutions that do not dig down and get to the roots of the problem. Jonathan Scott, not surprisingly, wants measures to stop all grazing in the Mara’s protected areas. But, he says, “There are no easy solutions to please everyone.” The government and wildlife authorities must recognise that this “is a failure on the part of the administration at both local and national level. Kenya needs tourism – it pays the bill for protecting our wilderness and provides employment…and generates millions of dollars each year for Narok County”. Scott goes on to call for the recent killings to be a catalyst for change in “addressing the complex issues that need to be resolved if wildlife and local communities are to prosper side by side”. He is right, but the problem is finding formulas (and they will differ from country to country, from locality to locality) that will empower people, provide income, and incentivise them to actively aid conservation. 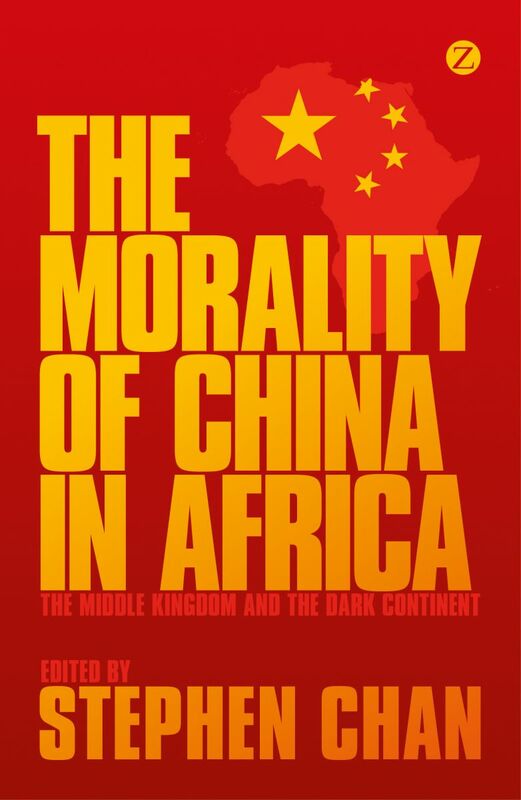 Keith Somerville is a Senior Research Fellow at the Institute of Commonwealth Studies, University of London; he teaches at the Centre for Journalism at the University of Kent; his book Africa’s Long Road Sine Independence. The Many Histories of a Continent is published on 14 January 2016 by Hurst and Co, and he has just completed the manuscript of a work on the history and political economy of the ivory trade in Africa. For me it is simple. If the Lions go into the herders territory and kill livestock, then the Lions are to blame. If the herders ILLEGALLY enter the Park sanctuary to graze their cattle and their cattle get killed? ?….I’m sorry but it’s the herders that are to blame and not the Lions. How dare they, how dare they take their revenge for something that they themselves caused!. They should be put down or sent to jail, then how will their families survive. All because they moved into protected land and killed these amazing big cats.